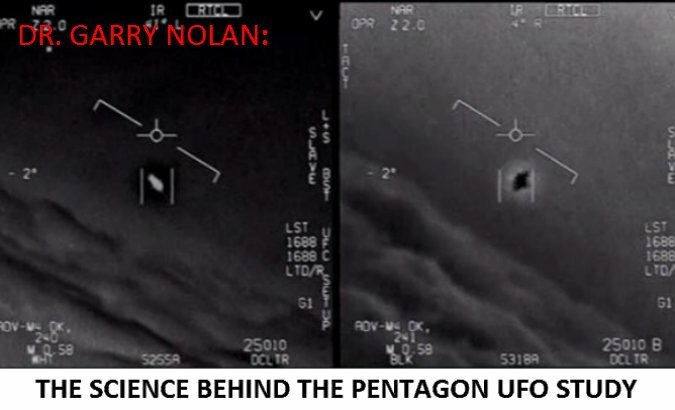 Dr. Garry Nolan is a Professor of Microbiology & Immunology at Stanford University as well as being a member of the advisory board for the To The Stars Academy, a private sector follow up to the 2007-2012 Pentagon UFO study involving many of the same people including Luis Elizondo, who headed up the Pentagon study and acts as Director of Global Security & Special Programs for TTS. 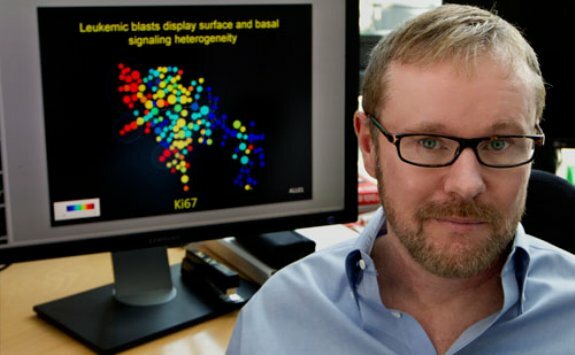 Over the last several days, Dr. Nolan has been nice enough to answer several questions regarding what we might look for going forward regarding the scientific research taking place as part of that follow up. The following material, while presented in a standard interview format, was compiled from a series of private messages and open conversations at my UFO Facebook group. Obviously, more questions will come up as time goes on and this article will be updated accordingly. NOTE: There have been two significant updates to this initial story so be sure to scroll down the whole way to read the whole story . . . for now. Q: Can you give us a little background on the nature of the recovered materials mentioned in the New York Times story? DR. NOLAN: These are not your grandma's alloys. If these materials truly exist-- they are going to be found to be metamaterials. Though I call them metamaterials-- it's really for lack of a better term. They are probably even more engineered and subtle than that. The science of metamaterials is only a few decades old, but there is a whole ecosystem of new journals growing up around their unexpected and wondrous properties. One way to think about metamaterials is that is, basically, quantum engineeringworking with normal matter in a way that takes advantage of properties we dont fully appreciate yet. We draw the physical universe with only 80 elements. I would guessjust hypothesis-- that they (an advanced civilization) that we might infer can accomplish some of the feats observed by the pilots understand the subtleties of isotopes and design with all 253 stable isotopes. The metamaterials they could design would be more subtle and likely encompass a greater understanding of reality and physics than we know now. 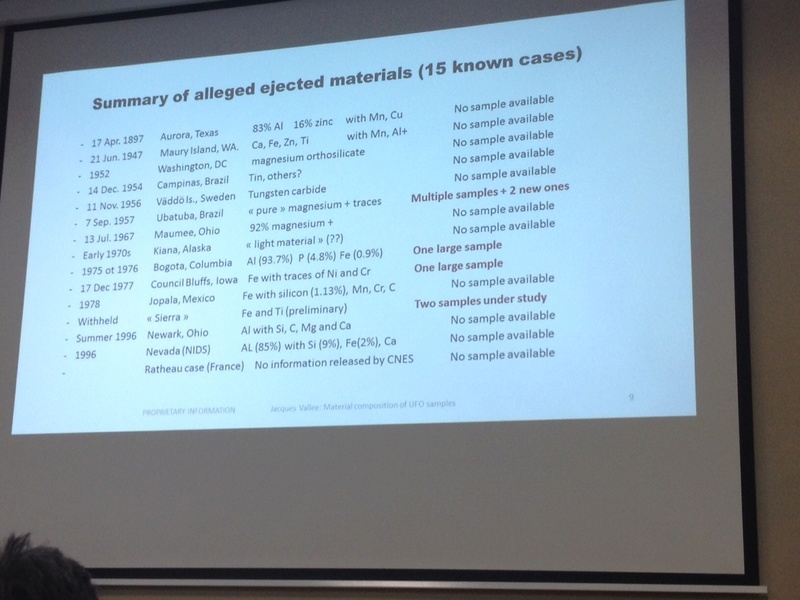 People interested in understanding the reality of what's going on with these metamaterials (so-called alloys) need to understand this: https://en.wikipedia.org/wiki/Isotope . There are 253 isotopes that do not undergo radioactive decay in any reasonable time frame. 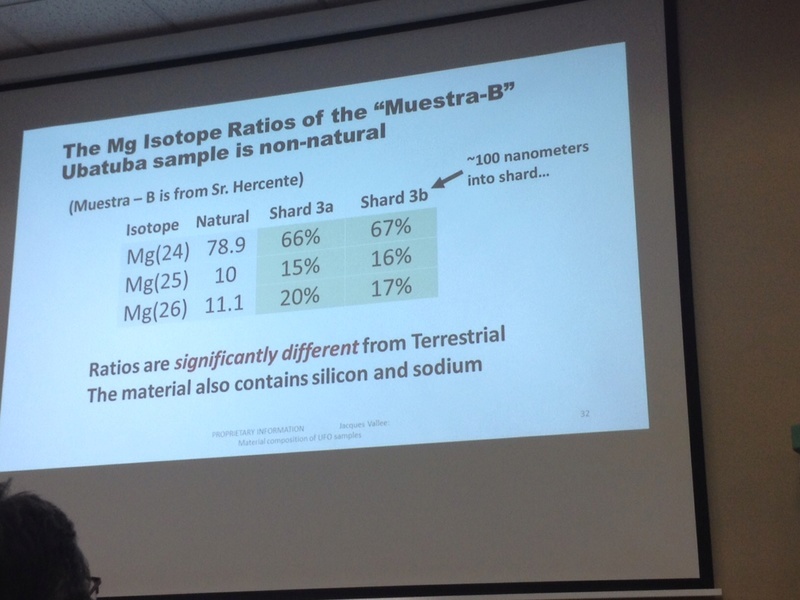 This page has a table of nuclides where the grey boxes denote the 253 stable isotopes. Some elements, such as aluminum, have only 1 stable isotope. 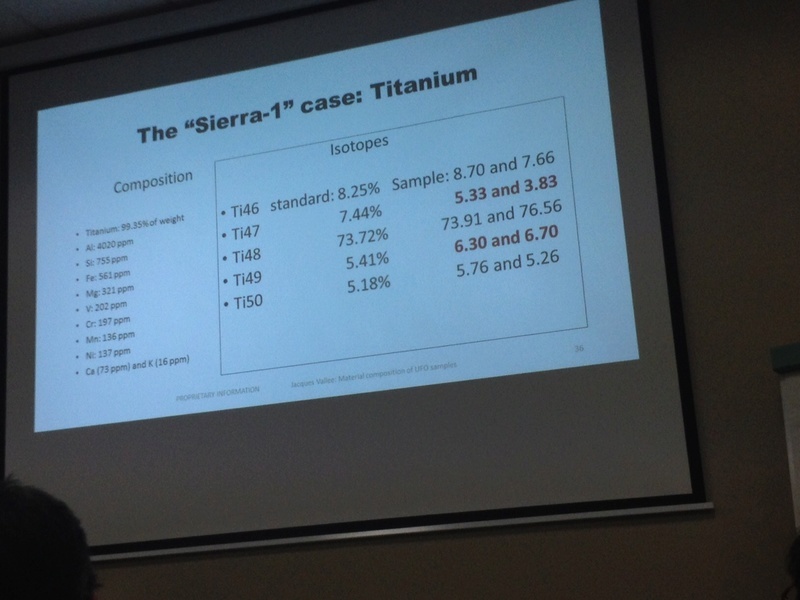 Titanium and nickel each have 5 stable isotopes. Tin (Sn) has eight! 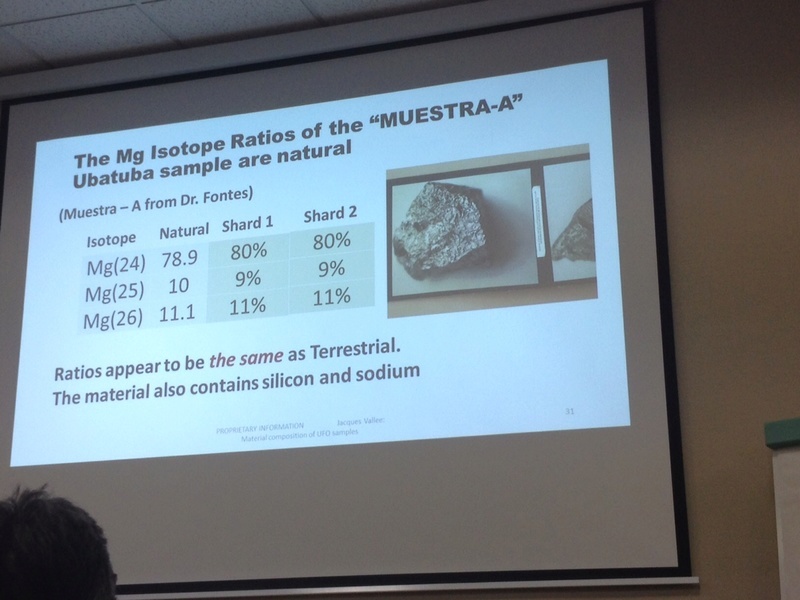 There are natural ratios of these isotopes that are largely governed by stellar decay processes, centrifugal forces (solar and other) during planetary formation, and proximity to gamma and other radiation sources. The ratios vary only slightly (maximum a couple percent) across a solar system. Significant variations in isotope ratios imply either engineering of the ratios for a purpose, or that the materials came from somewhere that does not "play by our rules". We use a lot of these isotopes in my lab at Stanford -- purely as tags in biology experiments. We dont come close to using them in the way I am suggesting above. Q: Do any of these metamaterials have shape memory properties? DR. NOLAN: They might, but I have not been following that area. My main interest is in quantum microscopes and how they might manage properties of electromagnetism and entanglement. I am particularly interested, and on record at several conferences, stating that entanglement might offer a whole new way to measure events at a distance for biological and clinical purposes. Q: Is there any sense on what the function of these metamaterials is? Are they part of a vehicle structure or do they have an avionics or propulsion (for lack of better words) application? DR. NOLAN: If I knew the answer to that I'd be filing patents right now. 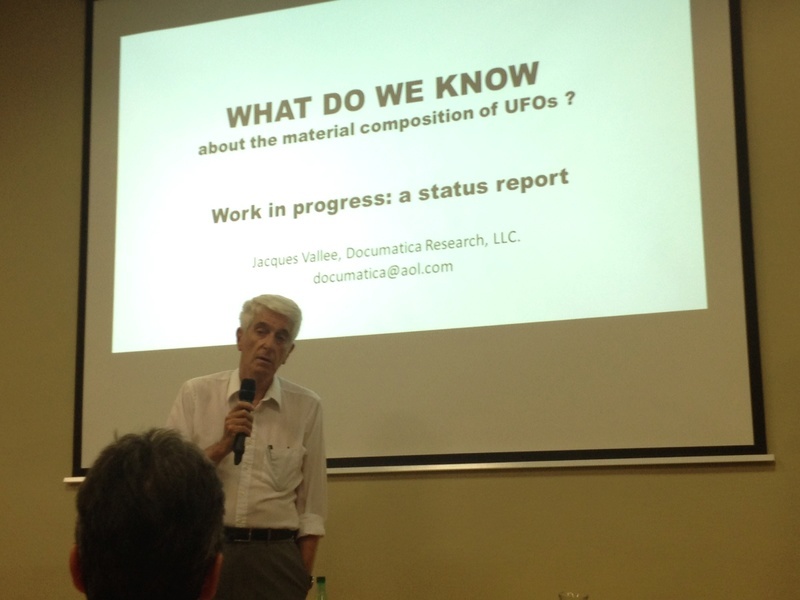 Q: Jacques Vallee has been discussing these materials lately. Have you been working with him at all? DR. NOLAN: Yes, Jacques and I have worked together on many projects. Including his recent discussions on the isotope ratios. 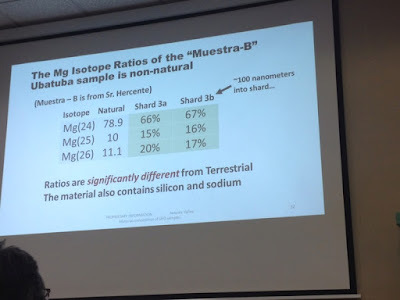 Jacques previously worked with Peter Sturrock (Emeritus Professor of Astrophysics here at Stanford) a couple of decades ago on composition of materials from UAP. Q: Would it be fair to say a lot of the "portal" talk surrounding TTS and other efforts is more akin to stable wormholes/Einstein-Rosen bridges? Q: Are you familiar with Aron Wall's work? He's apparently working on some sort of portal/traversable wormhole. DR. NOLAN: I don't know Aron's work, but there are two physicists on the TTS team who might. One of them is a specialist in space time metrics (engineering of space/time). UPDATE FEBRUARY 21: The two physicists Dr. Nolan mentioned are Hal Puthoff and Eric Davis. Follow this link Dr. Davis provided to a fascinating paper he wrote on traversable wormholes. Also, I noticed among the incoming traffic links to this story a very interesting post at a French UFO forum which discusses a presentation by Dr. Jacques Vallee about these advanced and possibly ET materials. The post doesn't provide much detail about what he said but there are a series of photographs which provide tantalizing clues. In it, he writes, "it has not proved possible to identify where the material was produced." It's also important to note some, if not all, of the materials members of the To The Stars Academy have talked about have never been in the government's hands in the first place so obviously FOIAs will be of no use there. Just because TTSA is talking about something doesn't mean the United States government/military ever had it or that the TTSA organization has it. "So let me give you an example of, how this stuff helps people who are chasing these really difficult problems. I’m choosing one here: metamaterials for aerospace use. I’d love to talk about really fancy materials, but they’re classified. However, there’s a lot of materials that have been picked up or provided even in the public domain. I’m going to give an example because it shows exactly what the structure is for how to deal with this. This is an open source sample. It was sent anonymously to talk show host Art Bell. The fellow claimed to be in the military. 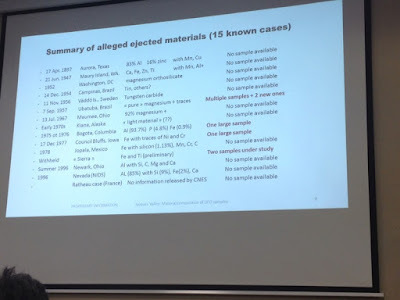 He said that this sample was picked up in a crash retrieval, and so he sent it by email. So what does that mean? Chain of custody non-existent. Provenance questionable. Could be a hoax. Could be some slag off of some foundry floor or whatever. However, it was an unusual sample, so we decided to take a look at it. But anyway, it’s amazing we’ve gone through this and this is the kind of structure we go through a lot. You get a material sample with unusual characteristics to be evaluated, the method of manufacture is difficult to assess or reproduce, the purpose of the function is not readily apparent – as with our sample here, and then as our own technical knowledge moves forward we finally see a possible purpose or function comes to light. That sequence is repeated over and over in this particular area." My ideas on this also in Jim Woodward's Starship book, though he did not understand it properly not realizing I am talking about near EM & Gravity fields not far fields. Thank you for the comment Dr. Sarfatti. In fairness to Dr. Nolan, this did get put together somewhat haphazardly and he might have been a lot less vague if I'd asked better questions. Happy New Year! The main instigation was a posting by someone from Scientific American about the "alloys"-- and my point that thinking the materials from a supposed craft would be far more complicated than that. It dovetails exactly with your proposal (of which I was unaware). I was aware of Eric Davis' work as well in this area. In fact, I suspect these are not even metamaterials in the literal sense. Maybe call them "ultramaterials". One could imagine some kind of more advanced composites with local structures being "metamaterials" in the literal sense interspersed with local superconductors (per your talk PDF) or all kinds of other complex arrangements-- semiconductors, etc. Main takeaway for me is to push back against the notion these are simple "alloys". I'll leave the physics to you, Eric, and others. David. Thanks for your comment. You might want to take a look at the updates to the original story.